Google changed the Internet when it developed its 'PageRank' algorithm which decided how important a domain name was by seeing how many hyperlinks it could find linking to that site from other sites. Their algorithm was further refined as time went on as it was able to use other metrics to determine the importance of those sites linking to the domain. Using all this information Google was able to determine that a domain name which had lots of links from other quality domains, should appear higher up the results list than a domain with links from poor quality sites. Rolling forward a number of years and now Google is keen to distance themselves from all of this. The PageRank display was quietly dropped from the Google Toolbar, and Google is keen to state that there are now lots of metrics which go into ranking a site, and it is not as simple as checking a number for pagerank or anything else. However the reality is though that Google still operates in much the same way. In our experience, it seems to be a 90/10 split between how important Google believes a domain is compared to the on-page SEO (the keywords that are being promoted in the content on the page). This makes sense as the main problem with early Pre-Google search engines was that you could simply put up a site full of keywords and it would be returned top of the search results. So, if google is not using PageRank any more - or at least they are downplaying its importance, how can we determine how important a domain name is for Search Engine Ranking? When you have been running your site for a while and you start really looking into where you are ranking on search engines (Using tools such as SemRush.com) you will probably notice that for some keywords you are either not ranking at all, or are ranking below other sites which you think you should be above. This is where you need to check the domain authority scores for those other sites. It is highly likely that they will be higher than yours. Once you determine that their domain authority is higher then you need to find out how they did it. There are a lot of metrics which go into the calculation, but by far the biggest contributor is backlinks. 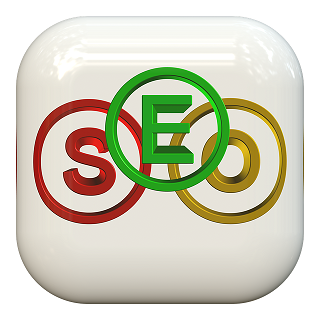 So you need to find out where the backlinks are that the other sites have gained which are promoting them to the top. Again, using tools like Moz or Ahrefs, you can see the backlinks for a site, and also the domain authority on those linking domains. Once you have found out where their backlinks are, you can then take steps to get your own site linked to from those places as well. It might be an article in the media, a review on a review site, messages on blogs or other content published on the web. It's the specific domains where they have those articles which is most important. Having done this you should see your ranking increase for the keyword that you are targeting (make sure you have the keyword as the anchor text on the link back to your site). The best thing though is that very few people actually do this - because it is a lot of hard work. Most high profile backlinks are more the result of general marketing efforts from website owners, rather than people that actually know what they are doing with regard to the serch engines. If you focus on this technique though you can take a site from nowhere to the top of Google and reap the rewards as a result. If you use Sellr, then we have built in SEO tools, where you simply click on an SEO button in edit mode on any page and it will show you the keywords you are promoting on that page. This is really important as the Domain Authority gives your site gravitas with the engines, but it is the actual content which is the final piece in the puzzle which determines what will appear on Google for which keywords. If you are not using Sellr at the moment, sign up for a free trial below and take a look.